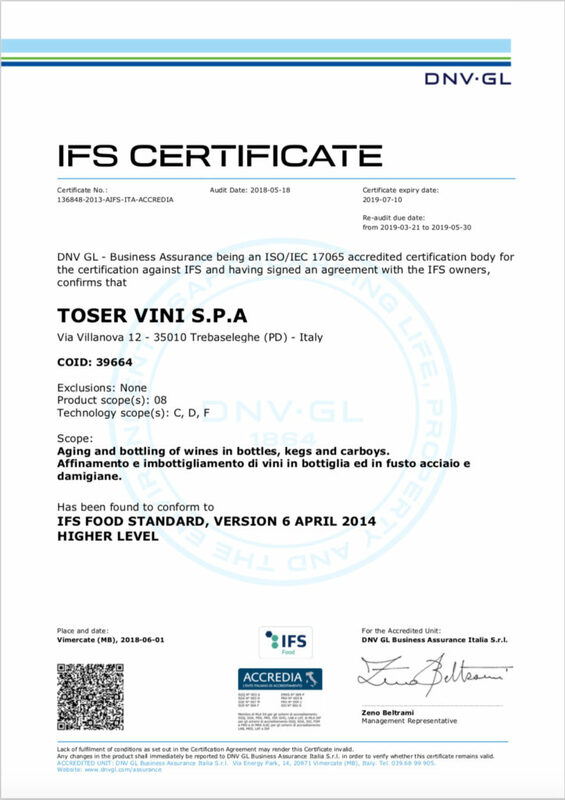 Toser Vini is committed to ensuring that each commodity produced and processed in their facilities carefully fulfills with meticulous, high-end quality standards, in order to provide their customer base with a formal guarantee of excellence. To this end, in the name of an ongoing improvement of all manufacturing processes, two leading, internationally-recognized food safety standards have successfully been developed and implemented. 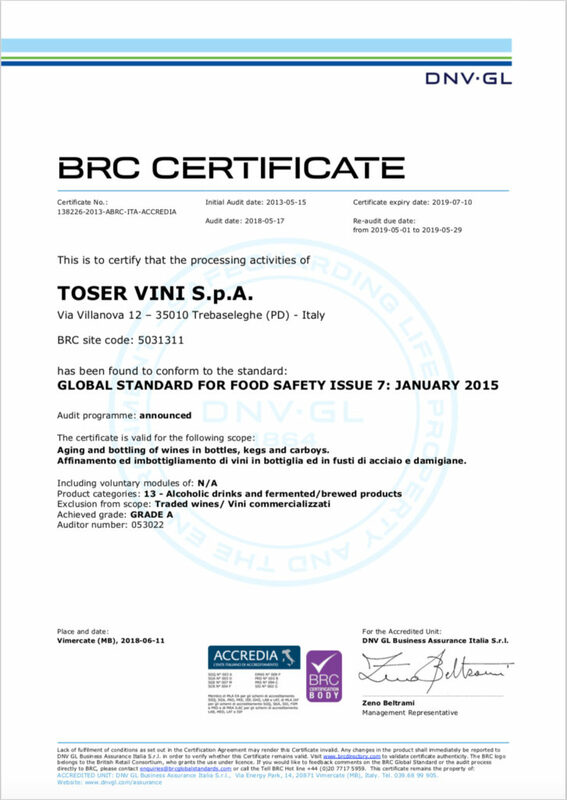 BRC and IFS for the food industry represent two crucial certification programmes endorsed by accredited Bodies through independent, qualified auditors, aimed at gaining full compliance with well-defined requirements, best practices and strict operational criteria for all-round “food defence”. In other words they stand as an actual guarantee of the superior quality level Toser Vini has reached with their manufacturing plants, has put into action in their whole production routine, has instilled in their skilled wine-making team. A comprehensive management system with a risk-based approach focused on the assessment of all key factors to 360-degrees food hygiene (whereas any hazard for product contamination is implied), through the set-up of clear rules and shared procedures, and the recurring monitoring of performances. All of which helps ensuring disclosure and transparency throughout the entire supply chain with the final goal of providing extended protection to the consumer.